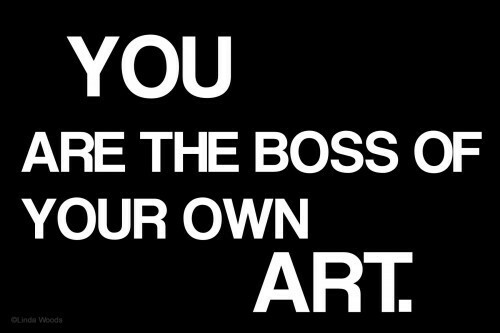 A best-selling author tell us to “be the boss of your own art.” Written by Linda Woods for Jayel Aheram. Being a successful artist or designer instead of a starving artist is a dream for many creative people. But, it takes more than just a dream and talent. It takes effort, determination, the right attitude, and clients. Solo artists rarely have the budget for billboard ads or Super Bowl commercials, so we must be creative even in promoting ourselves to our clients. When it comes to stepping out on your own and working for yourself, it is up to you to generate your own buzz. We’re all familiar with the idea that if you paint it, they will come, but it doesn’t really work that way unless they know how to get there. Lead the buyers to your art by spending time every day focusing on the business side of your business. Show your art in the best light. Use high quality photos of your art on your blog and in your promotional materials. Have a great portfolio ready. You’ve got the look! Include a professional photo of yourself with your bio. Professional need not be boring, but a blurry photo where one eye is shut, your bra strap is showing, or your fly is open doesn’t scream success. Capture your creativity with a photo of your beautiful self facing forward, wearing bold colors or in an interesting setting. Save the wardrobe malfunctions and mug shots for the rock stars. The world is at your fingertips and that world needs art. 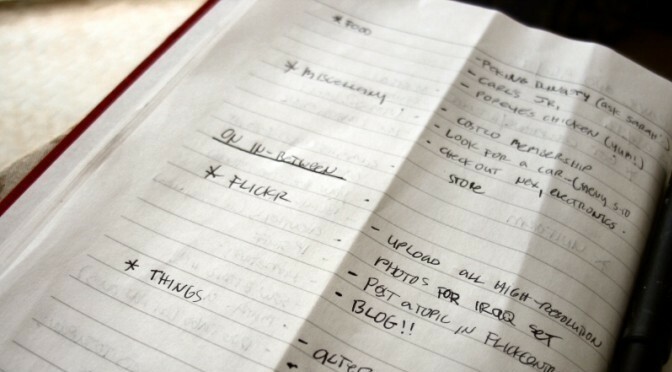 Set up a blog, Facebook, Twitter, and Flickr accounts and start sharing your art with the masses. A blog or website is an easy and inexpensive way to show off your art and keep in touch with your fans and buyers. Regular updates about what is going on in your world keep readers coming back and give them a glimpse into the oh– so– exciting life of an artist. People won’t be able to buy your art if they can’t figure out how to. Make it easy for people to buy your art. Link to places it is for sale. If you sell your art or design services online, set up an online payment option (like PayPal) and research shipping options before you offer your art for sale. Link to your art for sale from your blog or website. Stay sweet and keep in touch. Keep an email list of your buyers and potential buyers. When you have big news, special sales, or new pieces of art to show, email your list and let them know. Try to limit your mass emails to once a month so you don’t repel people. Every business needs a business card. Be sure your business card, promotional postcards, and blog all have your current contact information on them. Keep business cards with you at all times. You never know who you will meet when! Don’t be a flake. If you commit to a job, do it in a timely manner. Art directors, editors, and buyers don’t want to work with artists who are not reliable. They have schedules and deadlines, too. If you are over extended, be honest with potential clients and give realistic time frames. Don’t let the ego boost get in the way of smart business. Buy a calendar and use it. Gallery owners, book and magazine editors, and buyers won’t know you exist unless you make an effort. Submit your art for publication, get out and meet people, and attend art events with an open mind. Your art will not be right for every publication or gallery and that’s OK. Say thank you to people who give you time, appreciate the feedback, and keep going. Linda Woods is the co-author of the best-selling books JOURNAL REVOLUTION and Visual Chronicles. Her artwork, journals, photographs, and articles have been featured on The View, print, and exhibits worldwide. I'm a writer, Iraq War and Marine veteran, and photographer based in Seattle. Powered by coffee and rage. 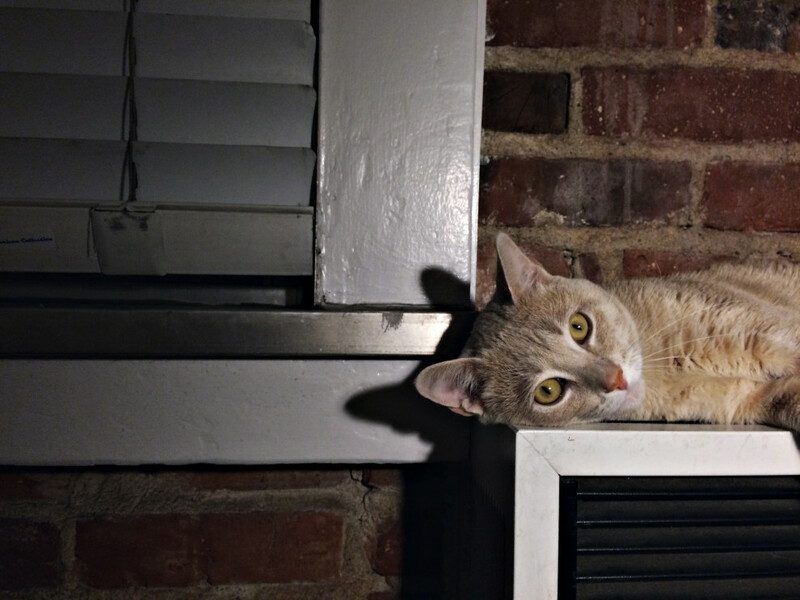 My feline companion seeking warmth atop a radiator. 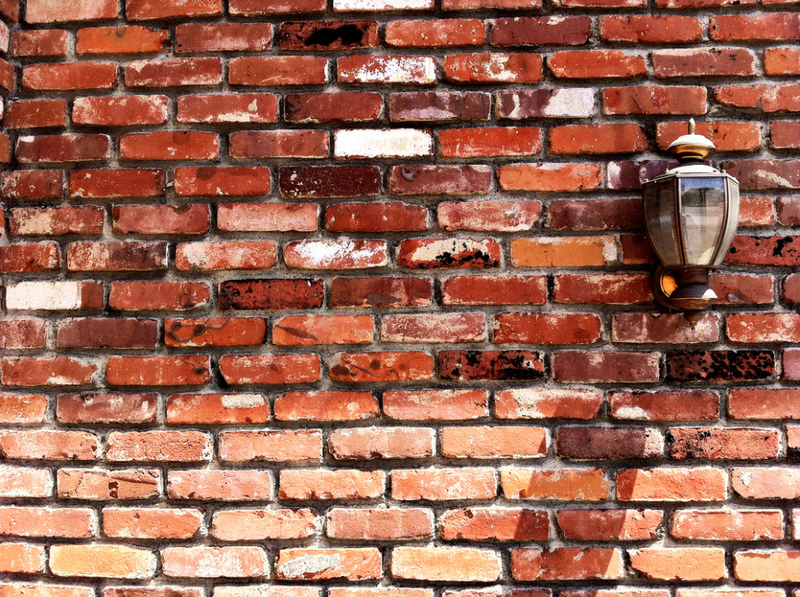 A lamp and a brick wall in Culver City.